You're surveying the table and gripping a Viking pool cue; you're feeling pretty confident as you lean into your shooting stance. It's no wonder: You not only have a shot in mind, but history in your hand. Nice combo. Viking has been handcrafting pool cues since 1965. It's the kind of long track record we appreciate here at PoolDawg, especially since that history is matched by quality. Using proprietary manufacturing methods, Viking designs pool cues with structural integrity, straightness and playability. Viking pool cues feature unique ferrules and pro tapered shafts to promotegreater cue ball controlandshot accuracy. We at PoolDawg also are happy to tell you that every Viking pool cue is manufactured with pride in the U.S. and features a limited lifetime warrantyeven against warping! Viking pool sticks are manufactured at a new state-of-the-art facility, which was constructed in 2013 as the company developed a renewed focus on innovation, quality and craftsmanship. The result is a line of affordable, top-quality cues in a mix of traditional styles and colors. The Viking SUPER ferrules are the strongest in the industry, and are guaranteed not to stain, crack or burn. Viking cues also feature a proprietary quick-release joint and are among the most popular cues for breaking and jumping. Viking pool cues are also as strong and straight as they are optimally balanced, thanks to the finger joint construction method used during manufacturing. When it comes to pool cues, Viking creates dozens of models at various price points without compromising on craftsmanship. The wide range of offerings that you will find here at PoolDawg means league players, competitive players and those who just want to stock a high-end game room will find affordable, high-quality cues to their liking. Among the Viking cues we carry at PoolDawg, bestsellers include the VIKP, VIKC, VIK862, VIK681 and VIK228. Cues with a manufacturer's suggested retail price under $299 come with the V Pro shaft, while those over $300 feature the ViKORE shaft. Other Viking shafts such as the eXactShot Pure Performance Shaft can be special ordered. Call us to check on details. 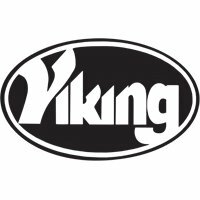 Don't forget that every Viking cue qualifies for free ground shippingin the lower 48 United States! Contact us today with your questions or to place your order.